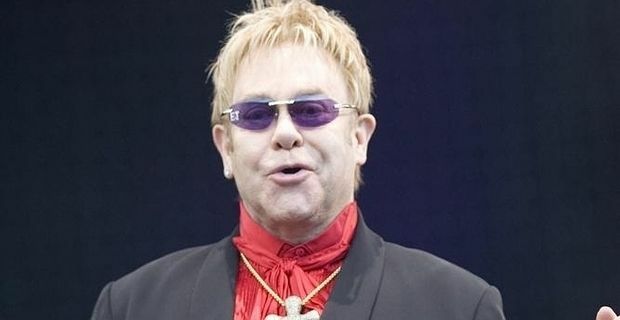 Sir Elton John told the International Aids Conference in Washington that it was only by chance that he didn’t contract the illness. He told them that his lifestyle at the height of the epidemic could easily have led to his contracting HIV. "This young man hit absolute rock bottom," he told delegates. "His life was a mess, he was spiralling out of control. He should have died. To be honest, he nearly did. I should have contracted HIV in the 1980s and died in the 1990s, just like Freddie Mercury, just like Rock Hudson. Every day I wonder, how did I survive?" The singer set up his own HIV foundation 20 years ago, and has been a tireless campaigner on the issue. This was the first time he has spoken at the conference though. His speech was greeted with a standing ovation. "Everyone deserves compassion," he said. "Everyone deserves dignity. Everyone, everyone, everyone deserves love. Why am I telling you this? Because the Aids disease is caused by a virus, but the Aids epidemic is not. The Aids epidemic is fuelled by stigma, violence and indifference." He said that part of the key to effective treatment was the attitude to patients. He reminded delegates that those who had contracted HIV had been stigmatised and abused. "If this country wanted to end HIV infections at home it could do so in a heartbeat," he said, referring to the USA. "All it takes is a bit more funding and a bit more understanding. All it takes is dialogue."